More of a rendering or cross-section this week. 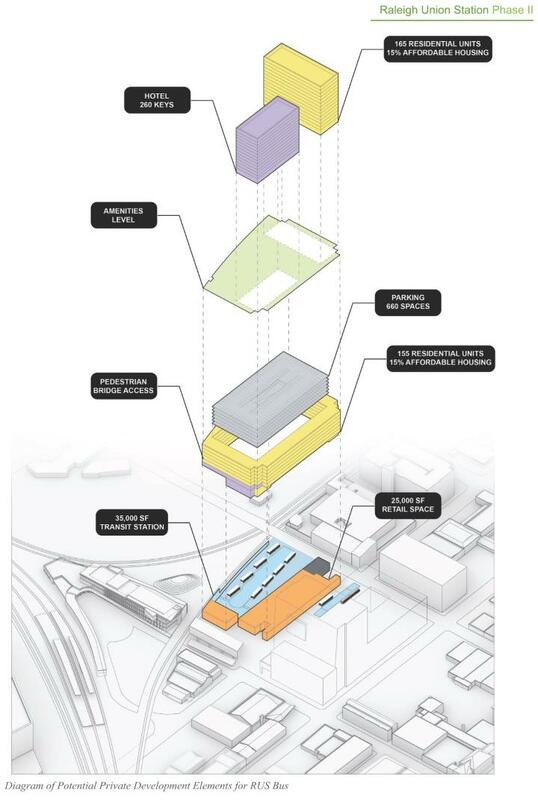 As I was looking through the RUSbus grant application, I noticed this diagram of how the mixed-use project could look like. Now this isn’t set in stone by any means but I take it as what the planners have in mind including market-rate and affordable housing, hotel, office, and retail space. Being a transit hub as well, this may be the most mixed-use project in downtown Raleigh.